Amazon has struck a deal that will allow hundreds of thousands of products forced offline because of new e-commerce rules to return to its Indian site, a source said yesterday. 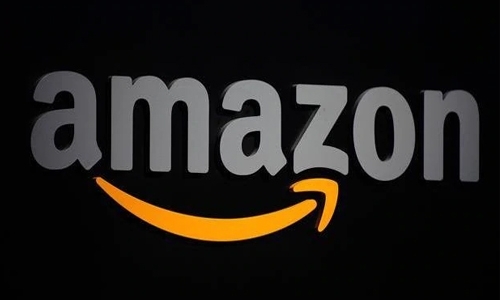 Some 400,000 items disappeared from Amazon.in after stringent regulations banning online marketplaces from selling products from firms in which they have a stake came into force last week. The government announced the surprise restrictions in December after complaints from brick-and-mortar retailers that e-commerce giants were unfairly selling products at discounted prices. Amazon and US rival Walmart -- which bought a 77-percent share in Indian e-commerce behemoth Flipkart last year -- are investing billions of dollars in India’s rapidly growing online consumer market. The new rules, which also forbid e-tailers from entering into exclusive deals with sellers, sent them scurrying to comply. Two of Amazon’s local venture partners, including a firm called Cloudtail, were forced to remove thousands of items from the US company’s website after the regulations kicked in on February 1. Yesterday, a person familiar with the matter told AFP that Amazon had agreed to sell much of its stake in the company which holds Cloudtail. “With the new structure Cloudtail becomes completely compliant with the new laws and therefore they can now come back and list as sellers,” the source said. “Hundreds of thousands of products will be back,” they added. Indian law already prevents foreign-owned companies from selling directly on their internet sites so the e-commerce companies had been buying in bulk and then selling the products to favoured vendors. These then resell the products at discount on the e-commerce sites who legally remain intermediaries. Analysts have said that the new rules will force Amazon and Walmart, which paid $16 billion for its majority stake in Flipkart, to rethink their Indian operations.